Guess where I am going to be next week? It's not too late to join me at the Critical Messaging Association conference. You might as well come. There will be no newsletter next week. This is too important of an event to miss. The following week, I will tell you about all the important things that you missed, and you will be very sorry. Very sorry. You will miss the interactive discussions, and information that could potentially benefit your business — and the wonderful chance to sit down and have coffee with me. ha ha Maybe even they will have espresso — my favorite. Did I mention that you will be very sorry if you don't attend? For some of my ex-Motorola Communications readers, Wayne Hansen passed away on May 26, 2015. I just found out. If you have registered, you should have received confirmation for your hotel reservations directly from the hotel. Parking for the group is $5.00/day; this is a reduced rate. 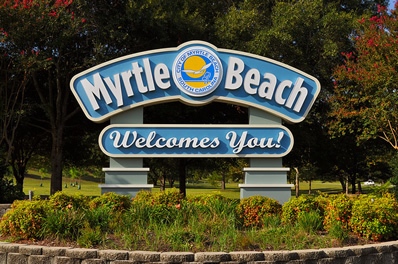 The Myrtle Beach airport is approximately 12 miles away (30 minute drive). A taxi to the hotel costs approximately $38 one way. 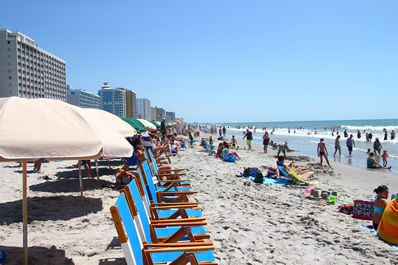 The CMA-A board will meet on Thursday, November 5, at 9:00 am in the Palmetto Palms room. A breakfast buffet will be served. The Convention agenda follows. All sessions will be in Mulligans. Note this meeting is designed to provoke interactive discussions as opposed to speakers providing presentations. Our goal is to introduce a topic and ideally help everyone in attendance leave with valuable information to move forward with their business. Therefore we hope you will actively participate and encourage you to introduce your own topics of concern if you do not see them on the agenda. Immediately following the sessions there will be an informal networking reception in Vista 1. Beer, wine, and non-alcoholic beverages will be included. We invite your registered guests to join us and dress is casual. Friday will begin with a continental breakfast in Mulligans, followed by sessions. Lunch will be served in Arcadian 1-3. Afternoon sessions will resume at 1:30 pm and the conference will conclude at 4:00 pm. If you have any questions regarding the event, please contact Linda Hoover . Lauttamus Communications has been a family-owned and operated business since 1967. Winner of multiple awards, their suite of products include paging, two-way radio service, towers, answering service, and security. While others have been diminishing, Lauttamus has been growing through diversification. Learn from their success story. Telco Neglect of Network Interconnection Circuits and the IP Transition: Can It Be Fixed? As telephone companies increasingly deploy fiber in their networks, there have been increasing complaints that they are forcing customers to switch (often on less favorable terms) by neglecting to maintain their copper lines in reasonable working order. Critical messaging networks are likely to be targets for neglect due to their favorable financial arrangements for interconnection to the telephone network. Share your experiences with fellow CMA members and learn if new FCC rules may help to fight telco neglect. 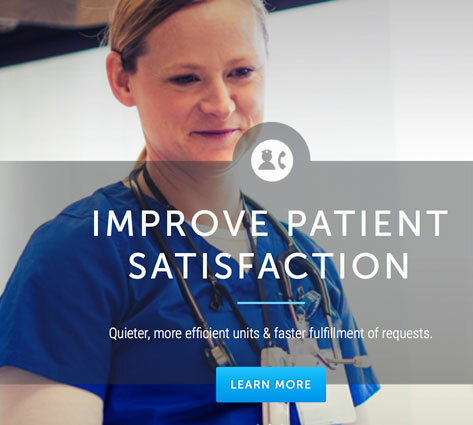 Contact Wireless has developed a series of web-based text messaging applications, designed to be simple to use and very economical, for the small to medium business and the medical industry. 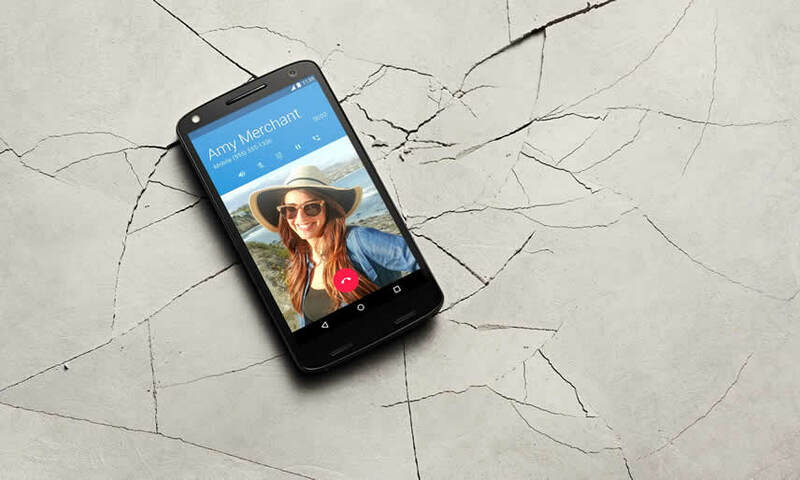 Motorola’s latest high-end smartphone the Moto X Force has a shatterproof screen guaranteed for four years. Motorola has made a very bold claim. It says its latest top-end Android smartphone has a screen that’s not just shatter-resistant but shatterproof, no matter how many times you drop the phone. If the screen does break in normal use, which includes drops, impacts and falls, but excludes deliberate abuse, Motorola will replace it under a four-year guarantee. The screen has been under development for three years, which means it spans both Google’s and Lenovo’s ownership of Motorola. Marcus Frost, senior marketing director for the company in Emea, insists that it is a wholly Motorola endeavour. “In the past we’ve innovated just because we can. Now we’re attempting to make meaningful innovation, addressing consumer pain points of which battery life and smashed screens are key,” Frost said. The five-layer screen has a user-replaceable, scratch-resistant top layer, otherwise known as a screen protector, two touchscreen layers – just in case one breaks – and two rigid layers to hold it together. The rest of the phone is not covered by the same four-year guarantee. A 5.4in quad HD AMOLED display is sandwiched into the five-layer screen, giving it one of the highest pixel densities of any smartphone currently available at 540 pixels per inch. The higher the pixel density the sharper the screen. 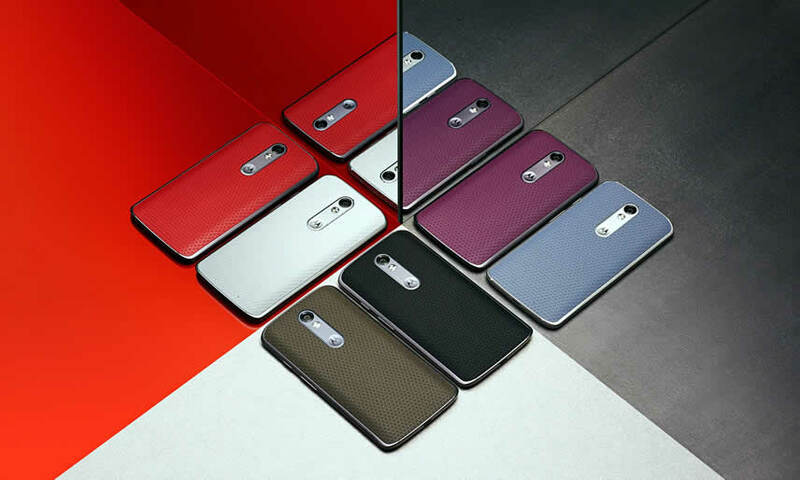 Buyers can customise the phone using Motorola’s Maker service, with a variety of backs and colours available. The rest of the smartphone’s specifications are similar to other versions of the company’s Moto X line, including the phone’s splash resistance. It contains a Qualcomm’s top processor, the Snapdragon 810, and, like the Moto X Style , has 3GB of RAM and 32GB of storage. It also has a two-day battery, like the Moto X Play . The Moto X Force has a microSD card slot for adding extra storage and wireless charging, but no removable battery. The camera on the back is the same 21-megapixel sensor as used on the Moto X Style, but has optical image stabilisation for removing hand shake. The five-megapixel selfie camera on the front of the phone has its own LED flash. The Moto X Force reads like a smartphone geek’s wishlist, with only one big exception: it doesn’t have a fingerprint scanner, which is quickly becoming the mark of a high-end smartphone. It also ships running last year’s Android 5.1 Lollipop, not the latest Android 6.0 Marshmallow, but Motorola promises an update will be available. The Moto X Force will be available in the middle of November in the UK costing £499 with 32GB of storage and £534 with 64GB, with various customisation options through Motorola’s Moto Maker site. SPRINGFIELD, Va.—(BUSINESS WIRE)—Spok Holdings, Inc. (NASDAQ: SPOK), a global leader in critical communications, today announced operating results for the third quarter ended September 30, 2015. In addition, the Company’s Board of Directors declared a regular quarterly dividend of $0.125 per share, plus a special dividend of $0.125 cents per share, both payable on December 10, 2015 to stockholders of record on November 18, 2015. Consolidated revenue for the third quarter was $46.2 million, compared to $49.8 million in the third quarter of 2014. 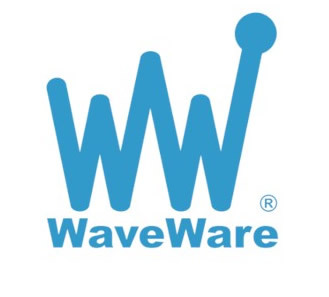 Software revenue totaled $16.8 million versus $16.9 million in the year-earlier quarter, while wireless revenue was $29.4 million versus $32.9 million in the third quarter of 2014. Third quarter EBITDA (earnings before interest, taxes, depreciation, amortization and accretion) totaled $10.1 million, or 21.8 percent of revenue, compared to $12.3 million, or 24.7 percent of revenue, in the year-earlier quarter, and $9.1 million, or 18.9 percent of revenue, in the second quarter of 2015. Net income for the third quarter was $4.2 million, or $0.20 per fully diluted share, compared to $4.7 million, or $0.21 per fully diluted share, in the third quarter of 2014. Of the $16.8 million in software revenue for the third quarter, $7.9 million was operations revenue and $8.9 million was maintenance revenue, compared to $9.1 million and $7.8 million, respectively, of the $16.9 million in software revenue for the third quarter of 2014. Software bookings totaled $16.7 million, compared to $20.4 million in the year-earlier quarter. Third quarter bookings included $9.3 million of operations bookings and $7.4 million of maintenance renewals. Software backlog was $41.6 million at September 30, 2015 versus $42.1 million a year earlier. The renewal rate for software maintenance in the third quarter was 99.8 percent. The quarterly rate of paging unit erosion improved to 1.5 percent from 1.9 percent in the year-earlier quarter, while the annual rate of unit erosion improved to 6.4 percent from 9.5 percent. Both the quarterly and annual rates of unit erosion were the Company’s lowest in more than a decade. Net paging unit losses for the quarter were 18,000 versus 25,000 in the third quarter of 2014. Paging units in service at September 30, 2015 totaled 1,192,000, compared to 1,274,000 a year earlier. The quarterly rate of wireless revenue erosion was 2.8 percent versus 2.0 percent in the year-earlier quarter, while the annual rate of wireless revenue erosion improved to 10.6 percent versus 11.4 percent in the third quarter of 2014. Total paging ARPU (average revenue per unit) was $7.82, compared to $7.97 in the year-earlier quarter and $7.86 in the second quarter of 2015. Consolidated operating expenses (excluding depreciation, amortization and accretion) totaled $36.1 million in the third quarter, compared to $37.5 million in the year-earlier quarter. Capital expenses were $1.4 million, compared to a similar total for the third quarter of 2014. Capital returned to stockholders in the form of dividends and share repurchases in the third quarter totaled $2.7 million and $8.3 million, respectively. The Company’s cash balance at September 30, 2015 was $113.4 million. The number of full-time equivalent employees at September 30, 2015 totaled 605, compared to 608 at June 30, 2015. Kelly added that the Company again returned capital to stockholders during the third quarter, distributing cash dividends totaling $2.7 million and repurchasing 502,942 shares of common stock for $8.3 million, or an average price of $16.56 per share, under its stock buy-back program. The Company announced that its Board of Directors has approved extension of the Company’s stock repurchase program from December 31, 2015 to December 31, 2016. In extending the plan, the Board also reset the repurchase authority in the amount of $10 million to begin at the earlier of January 4, 2016 or the completion of the existing 2015 stock repurchase plan. Since the program began in 2008, Spok has repurchased approximately 7.2 million shares of its common stock at an average price of $10.48 per share while maintaining appropriate cash balances and a strong balance sheet. Spok plans to host a conference call for investors on its third quarter operating results at 10:00 a.m. Eastern Time on Thursday, October 29, 2015. Dial-in numbers for the call are 212-444-0896 or 877-280-2342. The pass code for the call is 4793188. A replay of the call will be available from 1:00 p.m. ET on October 29 until 1:00 p.m. on Thursday, November 12. Replay numbers are 719-457-0820 or 888-203-1112. The pass code for the replay is 4793188. Also, Spok will host its annual “Analyst Day” Investor Meeting for financial analysts on November 3, 2015 in New York City. For further details and to RSVP, please contact Stacy Sloan at stacy.sloan@spok.com (or call 703-269-6950), send an email to investor.relations@spok.com , or sign-up directly at surveymonkey.com/r/M69M6R7 . Researchers have devised a low-cost way to discover the precise location of smartphones using the latest LTE standard for mobile networks , a feat that shatters widely held perceptions that the standard is immune to the types of attacks that targeted earlier specifications. The attacks target the LTE specification , which is expected to have a user base of about 1.37 billion people by the end of the year, and require about $1,400 worth of hardware that run freely available open source software. The equipment can cause all LTE-compliant phones to leak their location to within a 32- to 64-foot (about 10 to 20 meter) radius and in some cases their GPS coordinates, although such attacks may be detected by savvy phone users. A separate method that's almost impossible to detect teases out locations to within an area of roughly one square mile in an urban setting. The researchers have devised a separate class of attacks that causes phones to lose connections to LTE networks, a scenario that could be exploited to silently downgrade devices to the less secure 2G and 3G mobile specifications. The 2G, or GSM, protocol has long been known to be susceptible to man-in-the-middle attacks using a form of a fake base station known as an IMSI catcher (like the Stingray). 2G networks are also vulnerable to attacks that reveal a phone's location within about 0.6 square mile . 3G phones suffer from a similar tracking flaw . The new attacks, described in a research paper published Monday, are believed to be the first to target LTE networks, which have been widely viewed as more secure than their predecessors. "The LTE access network security protocols promise several layers of protection techniques to prevent tracking of subscribers and ensure availability of network services at all times," the researchers wrote in the paper, which is titled " Practical attacks against privacy and availability in 4G/LTE mobile communication systems ." "We have shown that the vulnerabilities we discovered in LTE access network security protocols lead to new privacy and availability threats to LTE subscribers," the researchers wrote. Like some of its predecessors, LTE attempts to conceal the location of a specific phone by assigning it a regularly changing TMSI, short for a temporary mobile subscriber identity. When a network interacts with a handset, it will address it by its TMSI rather than by its phone number or other permanent identifier to prevent attackers monitoring network traffic from tracking the location of a given user. The 2G attack worked around this scheme by sending phones an invisible text message or imperceptibly brief call that caused the mobile network to locate the phone. That paging request allowed the researchers to tie the TMSI to the phone number. The researchers behind the LTE attack found that similar paging requests can be triggered by social messaging apps such as those provided by Facebook, WhatsApp, and Viber, with little to no indication to the owner that any tracking is taking place. A Facebook message sent by someone not in the receiver's friend list, for instance, will cause the text to be silently diverted to a folder marked "other." But behind the scenes, an attacker can use the data sent over the network to link the receiver's Facebook profile to the TMSI. 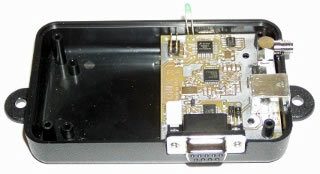 The TMSI, in turn, can be used to locate the phone and track it as it moves from place to place. A text sent through Whatsapp or Viber, meanwhile, first must be returned by the targeted phone owner. From then on, the attacker can use the apps' typing notification feature to trigger paging requests. The researchers describe such exploits as "semi-passive" because they mainly involve the passive monitoring of network traffic rather than the impersonation and traffic manipulation found in a fully active man-in-the-middle attack. Attackers can also opt to launch far more accurate active attacks by operating a rogue base station, which in LTE parlance is known as an eNodeB, short for evolved NodeB. To create their own eNodeB, the researchers used a computer-controlled radio known as a Universal Software Radio Peripheral that ran OpenLTE , an open source implementation of the official LTE specification. The total cost of the gear, including the radio board and antennas, was about €1,250 (about $1,400), Ravishankar Borgaonkar, one of the researchers and a post-doctorate student at Aalto University in Finland, told Ars. When running in active mode, the eNodeB impersonates an official base station provided by a network carrier and forces LTE phones to connect to it. The attackers can then run troubleshooting routines that cause the handset to provide a wealth of information, including all nearby base stations and the signal strength of each one. Attackers can use the data to triangulate the precise location of the device. In some cases, the rogue eNodeB can be used to obtain the GPS coordinates of the phone. An exclusive first look at Pwnie's new tool for catching cellular network attacks. 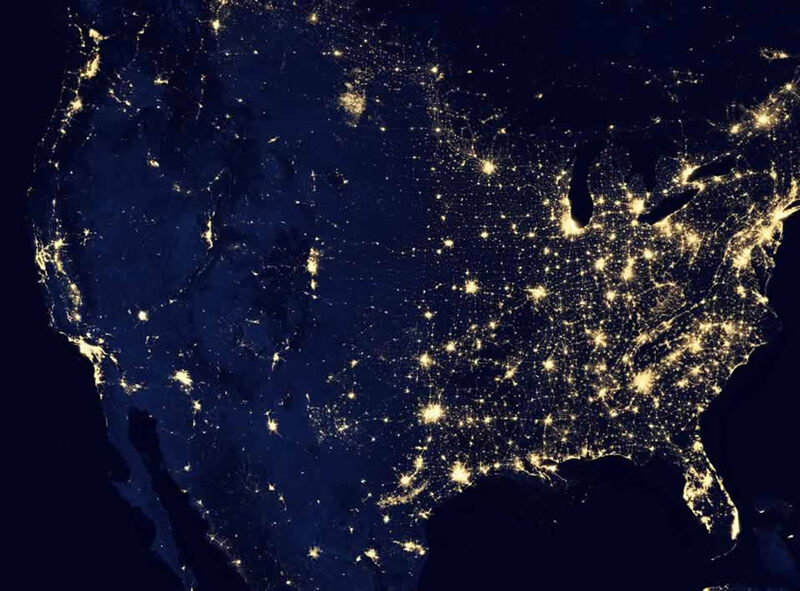 While the active attack provides much more granular location data, it comes at a cost. Darshak , an IMSI-catcher detection app that was released at the 2014 Blackhat security conference in Las Vegas , as well as similar apps from Pwnie Express and others, can easily detect the full-on attacks. That means the semi-passive attacks may be preferable for many attackers, even though the location data is coarser. There's another feature that makes the semi-passive attacks attractive: At least one of the LTE networks the researchers studied allowed TMSIs to last as long as three days before being changed. That means an attacker who executed such an attack could use it to track a target's comings and goings for days, with an accuracy of about a half mile. While it's likely the messaging apps will try to make changes that thwart the attack, it wouldn't be surprising if there are other ways to trigger the paging requests. The paper includes a separate attack that prevents phones from connecting to LTE networks. Such an attack would either prevent a phone from receiving voice or data service or would cause the devices to connect using 3G or even 2G technology, which are vulnerable to other types of exploits. In any event, the denial-of-service attacks are generally effective until after a device is rebooted. The researchers also included Altaf Shaik, a doctoral student at Technische Universität Berlin; N. Asokan of Aalto University and University of Helsinki; Valtteri Niemi of the University of Helsinki; and Jean-Pierre Seifert, a professor at Technische Universität Berlin. They said they contacted all manufacturers and carriers affected by their research in June and July and have proposed several changes the companies can make to better secure their products and networks. The researchers are scheduled to present their findings at the upcoming Blackhat Security conference in Amsterdam, the T2 Security conference 2015 , and the Internet Society NDSS conference . A brief description of the attacks is here . As noted earlier, several of the vulnerabilities exploited reside in the LTE specification itself. That likely means every LTE-compatible manufacturer and carrier is vulnerable to these attacks. A fix will almost certainly take time and money, but at least there will be near unanimous agreement among industry partners that the weaknesses represent a concrete and imminent threat to customers. 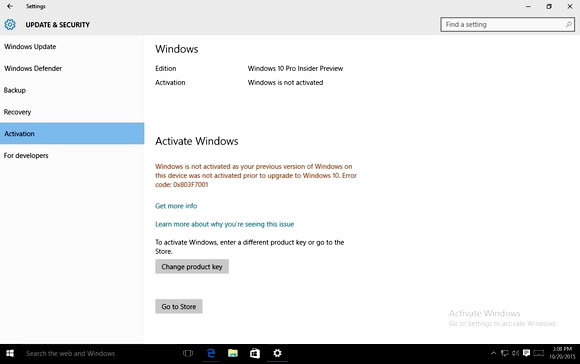 If you own a pirated copy of Windows 7 or Windows 8.1, you'll have the chance to come clean. Why this matters: Microsoft originally said in March that users with a pirated copy of Windows 7 or 8.1 would be able to upgrade to Windows 10 . The company later clarified that any user who did so would still be running an unlicensed copy . If Microsoft detects that you’re running an unlicensed copy of Windows 7 or Windows 8.1, you’ll be offered a way out. For potential auction applicants who may not have been able to virtually attend the FCC’s Incentive Auction Task Force and Wireless Telecommunications Bureau webinar regarding recent modifications to the Part 1 rules governing designated entities and other auction-related matters, including joint bidding, the webinar slides will be posted following the event on the LEARN website ( www.fcc.gov/LEARN ). BloostonLaw attorneys attended the webinar and are available to answer questions about the rules. On Monday, the FCC adopted an Order which resolves the remaining technical issues affecting the operation of new 600 MHz wireless licensees and broadcast television stations in areas where they operate on the same or adjacent channels in close proximity. In particular, the FCC’s Third Report and Order and First Order on Reconsideration in the Incentive Auction Inter-Service Interference (ISIX) proceeding (ET Docket No. 14-14) adopted the methodology and the regulatory framework for the protection of both wireless services and broadcasting in the post-auction environment that were proposed back in October 2014; it affirmed the methodology to be used during the incentive auction to predict inter-service interference between broadcasting and wireless services; and it affirmed the Commission’s previous denial to propose a cap on the aggregate amount of new interference a broadcast television station may receive from other television stations in the repacking process. The ISIX proceeding illustrates the complexities that arise when trying to accommodate two distinct services – broadcasting and two-way mobile wireless communications – in the same spectrum band. Policy decisions in this proceeding directly impact how many “impaired” 600 MHz licenses that the Commission can make available for bidding in the forward auction, and the potential interference that certain broadcasters may encounter with their post-auction channel assignments. Despite objections from the broadcast industry and Republican commissioners, the Commission previously chose to adopt auction and band plan designs that would result in a limited number of broadcast stations being placed in the 600 MHz uplink, downlink and duplex gap, in a handful of markets, in order to maximize the amount of broadcast spectrum that could be repurposed in the rest of the country. The ISIX rules and procedures are designed to minimize the amount of post-auction interference between broadcast television and new wireless services. A concurring statement from FCC Commissioner Mike O’Rielly applauded the OET staff for coming up with procedures that should allow wireless providers and broadcasters to operate in close proximity, but took issue with the Commission’s previously-adopted auction and band plan designs. The FCC last week issued a Notice of Proposed Rulemaking ( FCC 15-138 ) proposing new rules for the next generation of wireless broadband services in wireless frequencies above 24 GHz. Initial Comments are due by January 26, 2016 with Reply Comments due by February 23, 2016. Clients should contact us if they may be interested in submitting comments or otherwise following this proceeding. These proposed rules are an opportunity for the FCC to move forward on creating a regulatory environment in which these emerging next-generation mobile technologies – such as so-called 5G mobile service – can potentially be deployed. Due to physical and technological limitations, it was previously assumed that these “millimeter wave” frequencies could not support mobile services. However, the FCC believes that new tech developments may allow the use of these high frequencies for mobile applications – like 5G service – with significantly more capacity and faster speeds. This NPRM proposes to create new flexible use service rules in the 28 GHz, 37 GHz, 39 GHz, and 64-71 GHz bands. The NPRM proposes to make these bands available using a variety of authorization schemes, including traditional wide area licensing, unlicensed, and a shared approach that provides access for both local area and wide area networks. In addition, the NPRM provides a path for a variety of platforms and uses, including satellite uses, to coexist and expand through market-based mechanisms. The NPRM seeks extensive comment on the service, licensing, and technical rules for facilitating flexible use in these bands. Finally, the NPRM seeks comment on other bands above 24 GHz that may be considered in the future. By taking this action now, the Commission intends to establish a framework to proceed in parallel with technological development in order to keep pace and help future mobile and other wireless technologies flourish. Even as the world’s first incentive auction has finally made it off of the drawing board, Congress is already planning for future incentive auctions to repurpose federal spectrum for commercial use and to raise funds for the U.S. Treasury. As part of the tentative budget deal that must be passed to avoid government shutdown, labeled as a Discussion Draft, proposed legislation known as the ‘‘Spectrum Pipeline Act of 2015’’(Title X of the Discussion Draft) calls for the NTIA to identify 30 additional megahertz of federal spectrum below 3 GHz (excluding 1675-1695 MHz) that will be reallocated for non-federal use or shared use by federal and non-federal users, or a combination of those, and for a "federal spectrum incentive auction" to be conducted no later than July 1, 2024. As a related matter, the proposed bill would also extend the FCC’s auction authority, currently set to expire in 2022, until 2025. 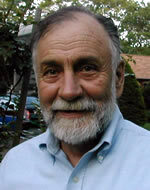 Ed Luttrell, President of The National Grange of the Order of Patrons of Husbandry, an organization that has previously urged policies to promote rapid buildout of wireless networks in rural areas, applauded inclusion of the spectrum legislation as part of the budget bill. Sec. 1004. Identification, Reallocation, and Auction of Federal Spectrum. This section requires the NTIA to identify 30 megahertz of spectrum below 3 GHz (excluding 1675-1695 MHz) by 2022 in preparation for an auction by the FCC no later than July 1, 2024. This section expands the eligible uses of the Spectrum Relocation Fund to include research and development of spectrum technologies and systems to improve government spectrum efficiency and allocates $500 million for such purposes. This funding will increase the ability of the Federal government to identify opportunities for spectrum reallocation and sharing with commercial systems. Federal Users requesting funds from OMB must submit a plan to the technical panel established under the Middle Class Tax Relief and Job Creation Act of 2012 in order to make a determination whether the plan is likely to produce tangible positive results. Requires the FCC to submit a report to Congress on the efficacy of the Spectrum Access System rules being implemented in the 3650-3750 MHz band ( a.k.a. the “Citizens Broadband Radio Service”) to enable sharing between licensed, unlicensed, and government incumbents. The FCC Wireless Telecommunications Bureau last week issued a Public Notice ( DA 15-1208 ) seeking comment on an appropriate methodology for determining the protected contours for grandfathered 3650-3700 MHz band licensees. Interested parties may file comments on or before 30 days after publication in the Federal Register and may file reply comments on or before 15 days after the comment due date. Federal Register publication has not yet occurred, so the comment/reply deadlines are not yet set. By way of background the FCC last April adopted a Report and Order and Second Further Notice of Proposed Rulemaking (3.5 GHz Order) that established a new Citizens Broadband Radio Service in the 3550-3700 MHz band (3.5 GHz Band). In the 3.5 GHz Order, the Commission adopted rules to protect existing licensees in the 3650-3700 MHz band from harmful interference from Citizens Broadband Radio Service users for a fixed transition period. During the transition period existing licensees will receive protection for operations that are within their “Grandfathered Wireless Protection Zone,” provided that: (1) the stations were registered in the Commission’s Universal Licensing System (ULS) on or before April 17, 2015; and (2) as of a year later (April 17, 2016) the stations are constructed, in service, and fully compliant with the relevant operating rules. The Bureau’s Public Notice seeks comment on a two-pronged approach to defining Grandfathered Wireless Protection Zones around “grandfathered” base stations. Under this two-part approach, the Grandfathered Wireless Protection Zone around each base station would be defined by: (1) sectors with a 4.4 km radius from each registered base station, and the azimuth and beam width registered for that base station with associated unregistered customer premises equipment (CPE) to encompass the operational area of unregistered subscriber stations; and (2) sectors (centered on each base station with the registered azimuth and beachside) which would encompass all registered subscriber stations within that sector. Our law firm’s clients with registered 3650-3700 MHz band operations will want to keep a close eye on this proceeding, and let us know if they want us to provide them with a more detailed report on the Commission’s proposals. In a case involving an AT&T Mobility Services, Inc. (AT&T) antenna tower at Fort Ransom, North Dakota, the FCC is taking the opportunity to remind all tower applicants of their responsibility to follow not only the substantive Environmental Review Procedures, but also the non-substantive procedural requirements that may not affect the ultimate outcome of the review itself. This case arises out of several complaints that AT&T did not comply with the Commission’s environmental and historic preservation review requirements in connection with the construction of an antenna tower at Fort Ransom, North Dakota. The complaints against AT&T were in three general categories: (a) AT&T failed to provide adequate notice of the proposed antenna tower to interested parties, (b) AT&T failed to adequately assess whether the proposed tower would have a significant environmental affect or impact on historic properties and (c) AT&T violated city zoning laws and failed to obtain a local building permit before it commenced construction. The FCC determined that AT&T substantively completed the steps required by the FCC’s rules for historic preservation and environmental review, and that there is nothing in the record to suggest that the Fort Ransom antenna tower would cause significant environmental impacts or otherwise affect historic properties. The FCC’s notice requirement does not require individual notification to interested parties or compliance with the Scenic Trails Resolution (of which AT&T is not a signatory) that included a special early notification procedure. 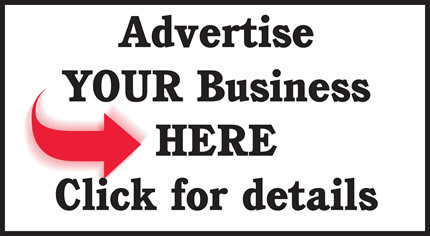 Rather, notice must be given through publication of a notice in a local newspaper of general circulation or other appropriate means. The Nationwide Programmatic Agreements (NPA) requires applicants to provide written notice to ‘the local government that has primary land use jurisdiction over the site’, which in this case is the City of Fort Ransom. The FCC noted that while the City did not complain about a lack of notice, it appeared that AT&T’s notice did not comply with Rule Section 17.4(c) or the NPA in several respects: (a) NPA notices did not include a street address for the proposed antenna tower and instead indicated that the tower would be located near a particular intersection; (b) Notices were untimely – NPA requires notice to be given on or before the date an applicant submits its Form 620 to the State Historic Preservation Officer (SHPO) so that the SHPO will have time to consider any public comments generated by the local notice during the SHPO’s own review period; (c) Local notice provided in newspapers of general circulation under the FCC’s ASR rules require applicants to provide specific details about the proposed tower and instructions for filing requests for further environmental review. The FCC’s Rules require that local notice be given prior to national notice so that there is a 30-day comment period. Here, AT&T published its local notice six days after national notice and did not amend its application to update the local notification publication date. Any client considering the construction of a new antenna tower must remember to take the FCC’s environmental processes into account when proposing a tower – even if the tower will not require notice to the FAA or registration with the FCC. The FCC has established programmatic agreements that are designed to streamline and define the process. There can be significant fines if the rules are not followed. Please contact our office with any questions. Specifically, Locus Telecommunications, Inc.; Lyca Tel, LLC; NobelTel, LLC; Simple Network, Inc.; STi Telecom Inc.; and Touch-Tel USA, LLC were found to have “targeted advertising to immigrant consumers promising that the prepaid calling cards, which cost only a few dollars, could be used for hundreds or thousands of minutes in international phone calls.” In reality, however, the consumers would be able to use only a fraction of the promised minutes due to the assessment of multiple fees and surcharges that FCC found were not clearly and conspicuously disclosed to consumers, based upon a review of the companies’ marketing materials and disclosures. The FCC has announced that later this week it will release an initial order adopting rule and policy changes to strengthen the AM service. A key component of the order, according to a press release, is a series of filing windows to promote the greater use of FM translators by AM licensees and permittees. In order to provide immediate relief to AM broadcasters, the FCC’s Media Bureau will promptly open two FM translator modification application windows, under modified procedures that will “vastly increase opportunities for AM stations to relocate FM translator stations.” The first such window open during the first quarter of 2016, for a period of six months (“First Modification Window”). The second window will open immediately after the close of the first window (“Second Modification Window”) for a period of three months. Applications will be processed on a first-come, first-served basis. The First Modification Window will be open to only Class C and D AM licensees seeking to modify and/or relocate FM translator stations. The Second Modification Window will be open to AM licensees of any class. Build-out requirements will depend on whether the modification application proposes to modify a licensed and operating FM translator station or a new, unbuilt Auction 83 construction permit. An FM translator station modified under these procedures must rebroadcast the specified primary AM station for a minimum of four years, exclusive of silent periods, commencing with the initiation of service at the new location. Reuters , Bloomberg , and others are reporting that New York State’s attorney general is probing whether three major Internet providers are charging customers for faster broadband speeds but failing to deliver them. "New Yorkers deserve the Internet speeds they pay for. But, it turns out, many of us may be paying for one thing, and getting another," Attorney General Eric Schneiderman said in a statement. In letters dated Oct. 23, Tim Wu, new senior enforcement counsel to the New York Attorney General and coiner of the term “Net Neutrality” told Verizon, Time Warner, and Cablevision Systems that he is “specifically concerned about the disruptions to the consumer experience caused by interconnection disputes,” and that there is a “possibility that interconnection arrangements may in some instances render irrelevant any benefit” of paying for so-called premium options ( e.g., Verizon’s FiOS). A 2014 study conducted by the Measurement Lab Consortium, or M-Lab, found that customers' Internet service “tended to suffer at points where their broadband providers connected with long-haul Internet traffic carriers.” The study’s finding, along with consumer complaints and internal analysis, reportedly prompted the investigation. The Federal Communications Commission and General Communications, Inc. (GCI) have entered into a consent decree in order to resolve the FCC’s investigation of antenna structure registration and marking and lighting violations. Under this agreement, GCI will make a “voluntary contribution” to the US Treasury in the amount of $620,500. In 2014, GCI self-reported to the FCC that it had discovered numerous violations of the FCC’s antenna structure registration requirements – including those antenna towers that it had purchased. Following an investigation by the Enforcement Bureau, it was found that approximately 118 antenna towers had not been registered and 3 were not properly marked and lighted. Following a spate of aviation accidents, including a 1989 medevac helicopter crash in Coinjock, North Carolina that killed two medics, the FCC modified its procedures and required the registration of all antenna towers that require notice to the Federal Aviation Administration (FAA) for evaluation. The FCC’s Antenna Structure Registration (ASR) system works in concert with the FAA’s regulations in order to ensure that communications towers do not pose hazards to air navigation. As a general rule, antenna towers that are either greater than 200 feet above ground or are located within the glide path of a nearby protected aircraft landing area (such as a public use airport, helipad or military air base) require notice to the FAA and registration with the FCC. Office clients with questions regarding whether their antenna towers should be obstruction marked and lighted or registered with the FCC should contact our office. The FCC has imposed a $6,000 fine against Lakewood Transportation (Lakewood) for operating its radio station on an unauthorized frequency. In March, 2013, the FCC received a complaint involving unauthorized transmissions on the frequency 159.675 MHz in the Lakewood, New Jersey area. Using direction finding techniques, the FCC was able to determine that the source of the transmission was Lakewood’s dispatch office. Upon being notified of the violation, Lakewood took prompt action to correct the violation and operate on its authorized frequency. On this basis, Lakewood requests a reduction or elimination of the fine. The FCC notes that it will give favorable consideration where a licensee corrects a violation on its own – without having been first notified of the violation by the FCC. In this case, the FCC found that the violation was not cured until after the March 2013 station inspection following the interference complaint. More telling is the fact that the FCC had previously notified Lakewood of this very same violation on the frequency 159.675 MHz in April 2011. And, while Lakewood obtained a license following that encounter on the frequency 160.0575 MHz, it would appear that it never bothered to retune its equipment to match the parameters of the license. Lakewood asked for a reduction based upon financial condition. The FCC has a high bar to justify a “financial hardship” reduction, basing their decision solely upon whether gross revenues are enough to pay the fine. Because Lakewood could not demonstrate that payment of a $6,000 fine would place it in financial distress, the FCC did not reduce the fine. This case illustrates the importance of proactive station inspections to make sure that you are operating in compliance with the specifications of your licenses. Incorrect frequencies, power limits, locations, etc. could lead to the imposition of fines by the FCC. We encourage our clients to review their facilities against their license authorizations and contact us with any questions or needed corrective action. The FCC has granted Ritron, Inc.’s waiver request in order to allow it to supply its wide-band capable RCCR locomotive cab two-way voice radios to the Kansas City Southern Railway Company (KCS) for use on trains that travel between the United States and Mexico. As part of the Part 90 narrowbanding process, the FCC adopted Rule Section 90.203(j)(10), which prohibits the manufacture and importation of wide-band equipment. 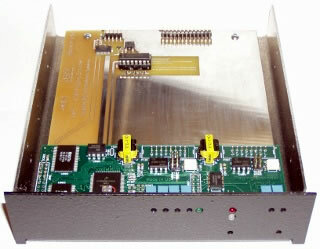 For multi-mode equipment, such as the Ritron RCCR locomotive radio, the radio is shipped to U.S. customers with only the narrowband modes accessible to the enduser. KCS is a US rail operator. While the United States has already transitioned to narrowband operations in the railroad voice band, it notes that Mexico still has wide-band railroad systems in operation. Ritron requested a waiver so that it can provide wide-band radios to KCS for use on locomotives travelling between the United States and Mexico. Ritron states that the radios will not be operated in a wide-band mode when in the United States. In granting the waiver, the FCC notes that KCS would otherwise be required to purchase two radios for its locomotives – one for use in the United States and the other for Mexico. This would require the trains to stop at the border crossing and change radios – which would impose added expense and time. The FCC noted that changing out radios that cannot be used in Mexico and reinstalling them when the locomotive crosses back into the United States is impractical and unduly burdensome on KCS, and presents an unnecessary risk of equipment damage or loss. The FCC has issued a six-month waiver, from July 1, 2016 through December 31, 2016, of the requirements in Rule Sections 2.1203 and 2.1205, which require the submission of information in connection with the importation of radio frequency (RF) devices. In this regard, Rule Section 2.1203 states that no RF device may be imported into the United States unless the importer (or designated customs broker) declares that the device meets the conditions for importation set forth in the FCC’s rules. This declaration can be made in two methods — electronically or on paper using the FCC Form 740 and attaching it to the customs declaration where electronic submission is not available. The US Customs and Border Protection Service (CBP) is in the process of deploying a new electronic filing system – the Automated Commercial Environment (ACE) — that is scheduled to go online on November 1, 2015. Unfortunately, ACE will not have the capability for importers to submit the required Form 740 information electronically. As a result, importers will be able to submit the FCC related importation filings electronically by the current Automated Commercial System (ACS) or on paper through July 1, 2016 – after which the CBP will no longer accept filings made via its legacy ACS system. The FCC is in the process of updating its rules that govern the evaluation and approval of RF devices, which includes a proposal to eliminate the importation filing requirement, since most of the information that was submitted on the Form 740 (or its electronic equivalent) is readily available from other sources such as the CBP itself or the Internet. Inasmuch as the rulemaking is ongoing and it will be some time before a determination is made on the proposal, the FCC has determined that the public interest would be served by waiving the requirement, since requiring paper filings for all shipments was deemed to be impractical. In a mixed bag, the FCC issued two orders – one denying the North Carolina Highway Patrol early access to 800 MHz expansion band channels and the other waiving the freeze on 800 MHz intercategory sharing. The Highway Patrol operates an 800 MHz trunked radio system which serves federal, state and local law enforcement agencies throughout the state. In April, 2007, the Public Safety and Homeland Security Bureau stated that public safety licensees who elected to remain on their Expansion Band channels could modify their operations, including expanding coverage contours and adding channels, without having to request a rule waiver. The requirements were clarified in April 2015. Specifically, the FCC stated that it would accept applications only after it established a filing date upon completion of band reconfiguration in each of the National Public Safety Planning Advisory Committee (NPSPAC) regions, and that the applications would be subject to pre-coordination. This change was made because Expansion Band channels were available to all eligibles, and the FCC therefore needed a “stable” spectrum environment. The FCC noted that it would still consider waivers to permit early access to the Expansion Band, but that the applicant would be required to have a “compelling” justification as to why it could not wait for the official filing date. The Highway Patrol stated that it had elected to stay in the Expansion Band and that the geography surrounding its Concord, North Carolina site “offers no natural separation between any of the nearby sites for any short spacing of the normal 800 MHz channels.” In evaluating this request, the FCC determined that the Highway Patrol had not made a “compelling” case to justify its rule waiver request, especially since it was also proposing to delete three NPSPAC channels and replace them with Expansion Band frequencies. In this regard, the FCC noted that the Highway Patrol waiver request did not explain why there was a preference for the Expansion Band channels over the NPSPAC channels. The Highway Patrol also asked for a waiver of the intercategory sharing freeze, indicating that two of its frequencies in High Point, North Carolina were experiencing interference from the City of Salisbury, which rendered the channels unusable. As a result, it was seeking access to two replacement channels and to add a third channel in order to accommodate increased radio traffic on the system. APCO provided a letter indicating that the only three channels available for the High Point site had been vacated by Sprint as part of the 800 MHz rebanding. These channels were identified because they were inside the service contour of the original Sprint station and are available to public safety for a three-year period after the Public Notice announcing their availability. APCO noted that one of the frequencies would also have a portion of service area that was outside the original Sprint Service contour – and that portion of the service area would therefore be assigned to the Business/Industrial Land Transportation Pool. In granting this waiver, the FCC notes that the Highway Patrol satisfied the requirements for intercategory sharing, since APCO demonstrated that no spectrum was available in the public safety pool due to distance/spacing requirements between transmitter sites and UTC – an out of category frequency coordinator – issued a concurrence letter. The FCC noted that the freeze was put in place in 1995 because SMR applicants had obtained numerous intercategory sharing authorizations for channels in the B/ILT Pool, which in turn, led to a shortage of channels in that pool. Nonetheless, the FCC found that applying the freeze to the Highway Patrol would not serve the purpose of the freeze and that a grant would further the public interest by providing the Highway Patrol with interference-free channels and expanded capacity to meet is public safety communications needs – not only in the High Point area, but also statewide. The FCC has released a public notice requesting comment on the appropriate methodology for determining the Grandfathered Wireless Protection Zone. Comments will be due 30 days after publication in the Federal Register. Reply Comments will be due 15 days thereafter. The FCC is seeking comment on a two-prong approach to defining Grandfathered Wireless Protection Zones, including (a) procedures for determining compliance with the FCC’s construction and operational requirements for the band and (2) implementation of a strategy to ensure an accurate definition of Grandfathered Wireless Protection Zone is available to the authorized Spectrum Access Systems (SASs). The FCC is proposing to define the Grandfathered Wireless Protection Zone around each base station by (a) sectors with a 4.4 km radius from each registered base station and the azimuth and beam width registered for that base station with associated unregistered CPE to encompass the operational area of unregistered subscriber stations; and (b) sectors (centered on each base station with the registered azimuth and beam width) which would encompass all registered subscriber stations within that sector. The FCC notes that existing 3650-3700 MHz networks have been constructed in a majority of cases to provide “last mile” wireless broadband access and that most base stations are constructed in the center of an area intended to be served. The FCC believes that the first prong of the approach will provide protection for unregistered subscribers that operate below the mobile power limit and are in range of the base station. The FCC is proposing a conservative approach since the locations of unregistered subscriber stations are unknown and the protection zone will exist for a limited time period. With respect to the second prong, protection will be provided to each base station’s registered CPE. Protected sectors around each base station will be defined based on the distance from the base station to the furthest CPE unit registered in ULS and the base station parameters (e.g., azimuth and beam width registered in ULS). Because subscriber units operating above the power limit are required to be registered in ULS, the FCC is proposing to use sector-based protection zones only in areas where licensees have registered CPE units. The FCC is requiring new stations in the Citizens Broadband Radio Service limit the field strength of their operations at the boundary of any Grandfathered Wireless Protection Zone and is proposing a field strength limit of 44 dBuV/m MHz at the boundary of the Grandfathered Wireless Protection Zone. Specifically, the FCC is seeking comment on the two-pronged approach described above, as well as the values and methodology used to calculate the size of the protection zones and whether other methodologies might be more appropriate. The FCC is also seeking comment on whether different network topologies and use cases ( e.g., WISP networks and utilities) could require different types of protection and whether these factors should be considered in calculating protection criteria. The FCC has indicated that commenters must support their comments – particularly, those advocating alternate protection methodologies – with detailed technical and cost/benefit analysis. The declaratory ruling request was filed in August by Twilio, Inc., a “cloud-based developer-platform company” that facilitates “merging cloud computing, web services, and traditional voice and messaging communications.” In its Petition, Twilio asks the Commission “to declare that messaging services are governed by Title II” of the Communications Act. According to Twilio, wireless providers engage in a variety of discriminatory and anticompetitive practices that cannot be adequately addressed absent a declaratory ruling classifying messaging services as being governed by Title II. Twilio further asserts that, under judicial and Commission precedent, messaging services constitute telecommunications services and commercial mobile radio services and are thus subject to Title II. The Bureau seeks comment on the issue, specifically detailed estimates – numerical estimates if available – of any costs or benefits claimed. Media outlets are reporting that last Thursday, California Governor Jerry Brown (D) signed the Electronic Communications Privacy Act into law. This bill provides extremely broad protections, and bars any state law enforcement agency or other investigative entity from forcing a business to turn over any digital communications or related metadata – including e-mail, text and SMS messages, documents and other data files stored in the cloud, etc., without a properly issued warrant. This legislation goes further to require the issuance of a warrant to permit law enforcement to track mobile phone signals or otherwise search the contents of mobile wireless devices. I remember reading this magazine in the 70’s. Brad, I hope you are doing well. It’s been a long time since we’ve talked but I read your newsletter most of the time so I feel like we keep in touch. 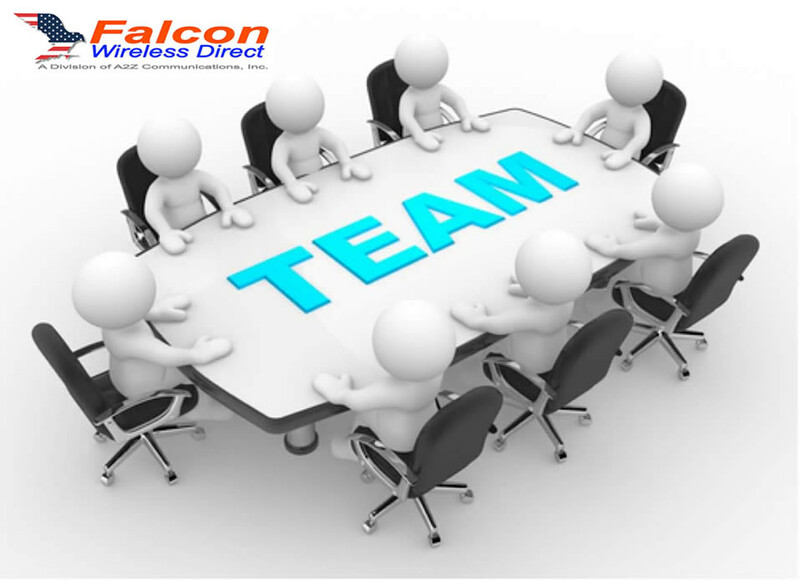 Launching a wireless technology company has been a challenge but it’s exciting and growing nicely. 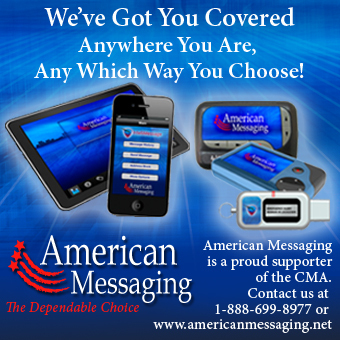 Check out our sites cell-gate.com and wirelesstraps.com. I saw this article and thought of you and that it would be of interest to your readers. While reading it I thought “yeah, there’s been a great technology for this for a LONG time . 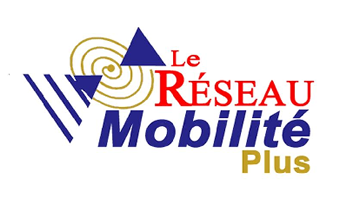 . . paging.” Having had the P&L responsibility for M2M with USA Mobility, I felt very strongly that it would be the salvation of the paging industry, and it should have been. When it became obvious to me that Vince Kelly was not interested in growing revenue but reducing cost, I knew it was time for me to leave. Then I went to the dark side (aka cellular). According to Gartner, Inc. (a technology research and advisory corporation), there will be nearly 26 billion devices on the Internet of Things by 2020. ABI Research estimates that more than 30 billion devices will be wirelessly connected to the Internet of Things by 2020. As per a recent survey and study done by Pew Research Internet Project, a large majority of the technology experts and engaged Internet users who responded—83 percent—agreed with the notion that the Internet/Cloud of Things, embedded and wearable computing (and the corresponding dynamic systems) will have widespread and beneficial effects by 2025. 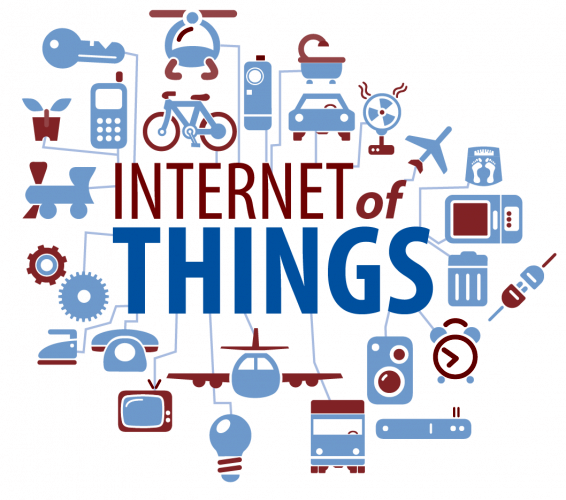 It is, as such, clear that the IoT will consist of a very large number of devices being connected to the Internet. 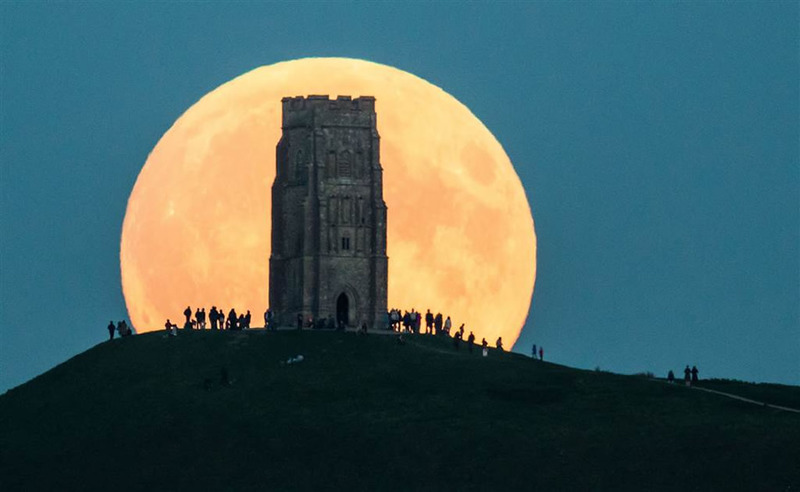 The supermoon rises behind Glastonbury Tor on Sept. 27, 2015 in Glastonbury, England. Sunday night's supermoon, so called because it takes place when a full moon makes its closest approach to Earth, is particularly rare as it coincided with a lunar eclipse. The combination had not happened since 1982 and won't happen again until 2033.